888-LOG-GUYS should be your log home restoration company! 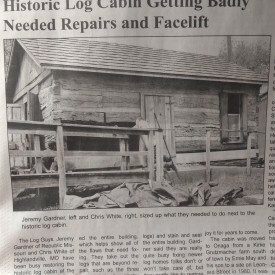 If you don’t need your log home restored, then how about your log home repair company? Log home chinking and caulking company? Log home improvement company? Log home maintenance company? Whatever the service is that you need, we are the best to provide it in the Nixa MO area! Call our phone number or ask for an estimate from our website! You will speak with our friendly staff to help you find the best solution for your log home! Have your logs become dull and gray? Is your stain peeling off your logs? 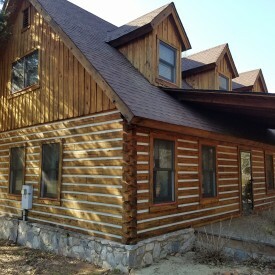 Ask 888-LOG-GUYS refinish your logs with a professional log home restoration! First, we will remove the old stain by media blasting or chemically stripping. Next, there is the option of sanding the logs before cleaning the logs with a borate treatment. 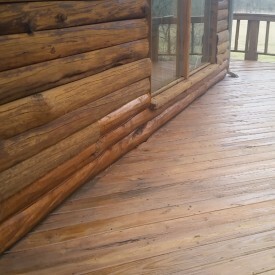 After that, chinking and caulking can be applied or repaired, and then finally, we will stain the logs with the perfect product to make your home as good as new! Our company has repaired thousands upon thousands of feet of log in the many years it has been in the log home repair business. There are many different reasons why a log may need to be repaired or why a log may need to be replaced. If you have log rot, water damage, bird damage, insect damage, or severe weather damage, then don’t wait! Call our number or request an estimate from our website! Our staff is ready to give you information on the best solution for your log home! 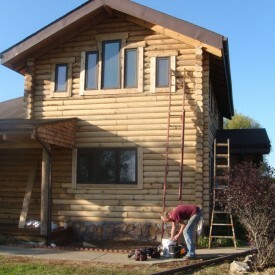 If you are seeing gaps in between your logs, seeing water leaking through your log walls, feeling air drafts around your windows, or noticing many more insects invading your log home, then contact 888-LOG-GUYS for an estimate on closing those gaps by applying an energy seal on your log home in the Nixa MO area. 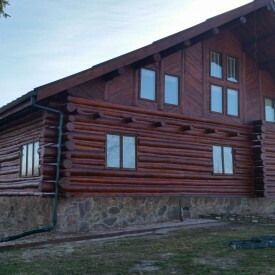 Make your log home air tight and protect you and your family from nature’s elements. Call us today! You might be thinking to add onto your log home or improve it in some way. Call 888-LOG-GUYS to discuss your log home improvement ideas! Our crews have many years experience constructing decks, constructing porches, and building patios, constructing log staircases, and building log railings. If you have other ideas, then let us know! We would love to help you make your log home dreams come true! Many log home owners are initially not aware of what it takes to maintain a log home and need advice on how to preserve the logs. 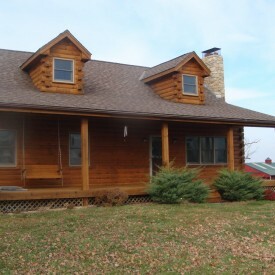 888-LOG-GUYS is the log home maintenance expert in the Nixa Missouri area! Call for a maintenance consultation or ask to speak with an estimator through our website! 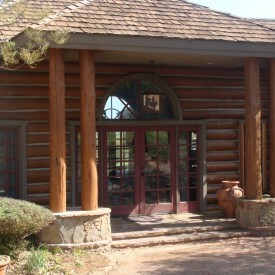 After our first time of service, you will have our guarantee to preserve your log home for your lifetime!